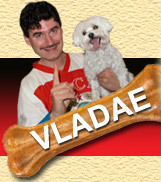 A national lifestyle magazine, Animal Fair for pet owners featured Vladae as the Dog Whisperer in their Summer 2005 issue. 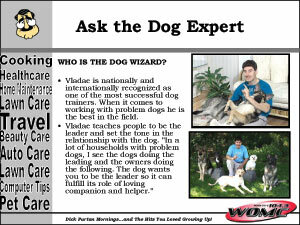 Click here to read our amazing letter from In The News, a national news tracking agency in Florida. 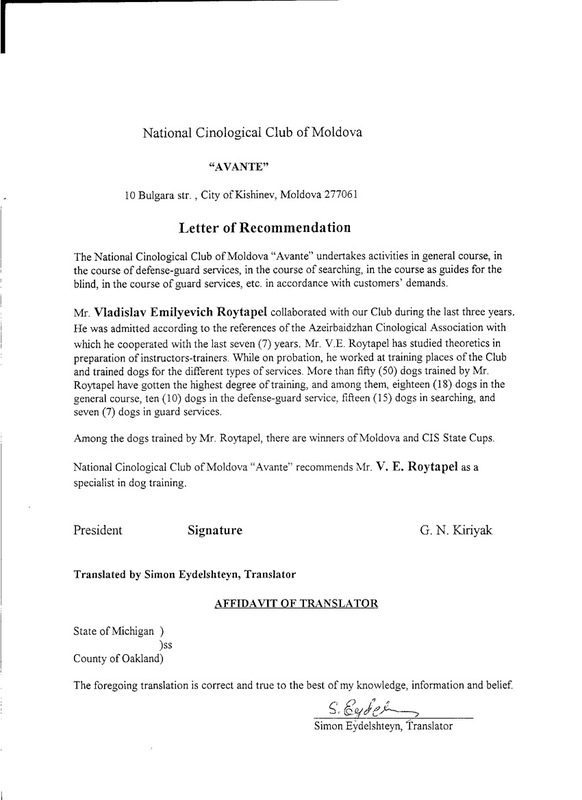 They were so amazed by our success, they wrote us this letter! 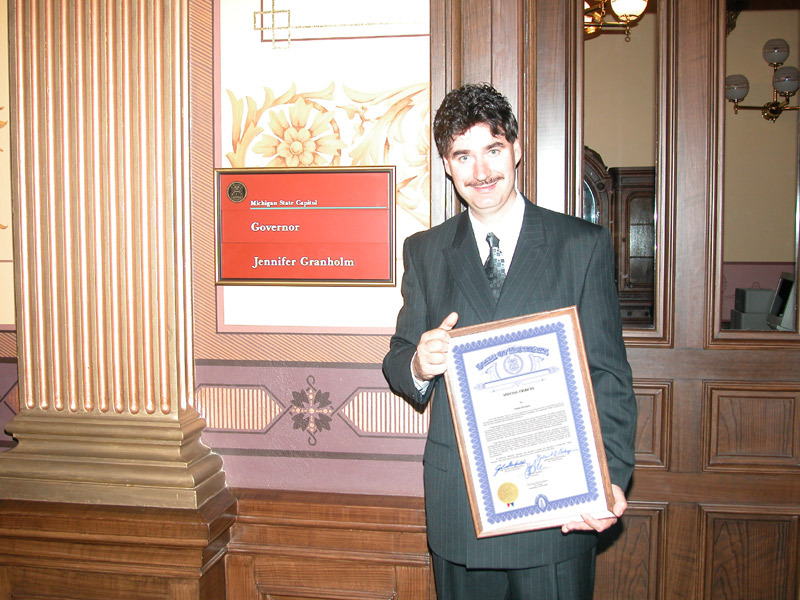 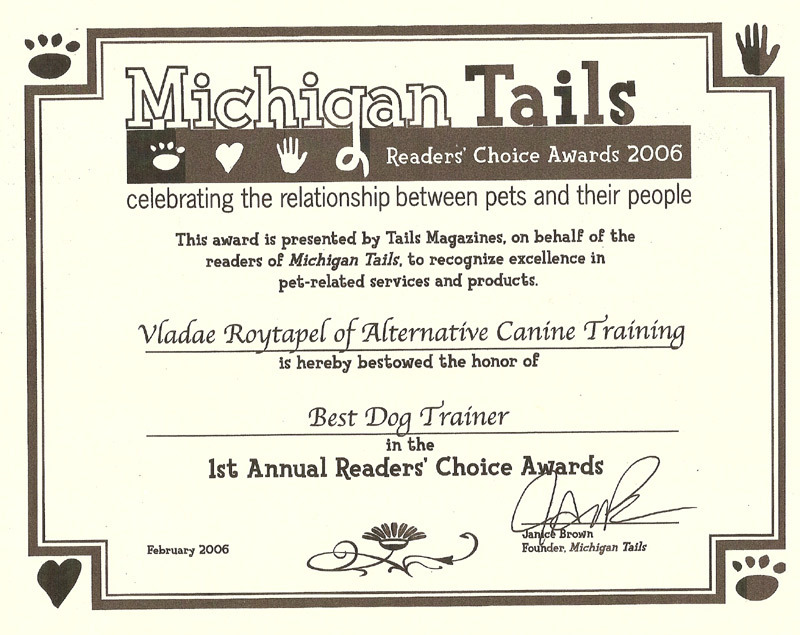 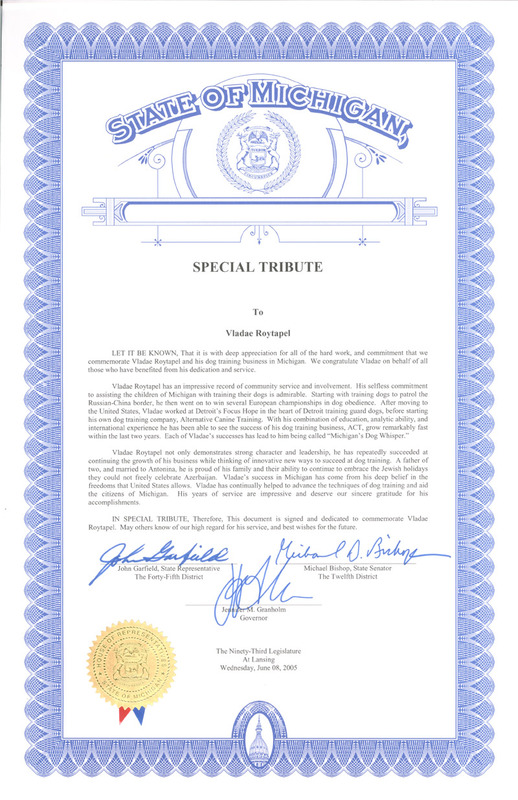 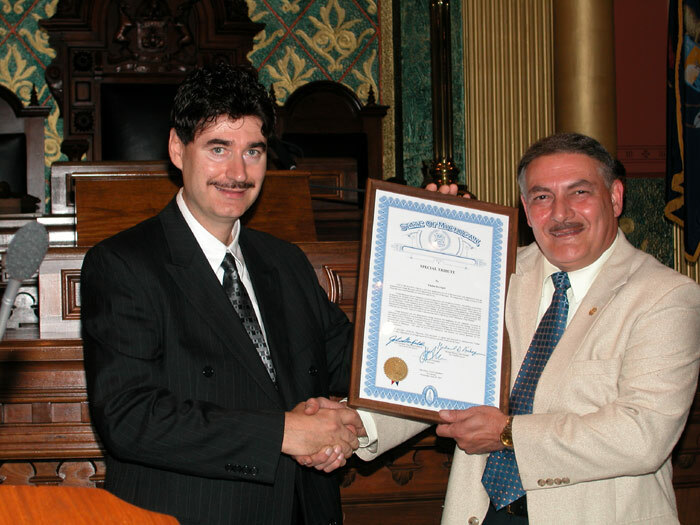 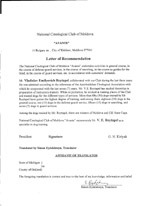 Vladae was the first (and only) dog trainer to be recognized by the State of Michigan for excellence! 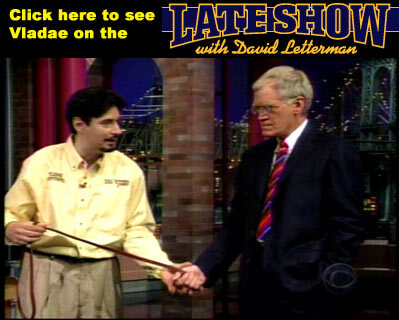 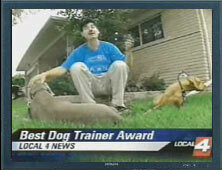 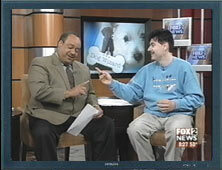 Vladae was named the Dog Trainer of the Year by the NBC News Team in Detroit.